When entering the bars, I worked with double bars. Do you have to pay extra attention or is it better to enter a staff with double cross section values? 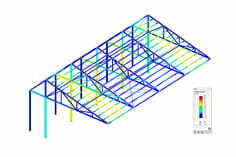 If you have edited the cross-section values of a cross-section or the stiffnesses of a bar with the function "Modify stiffnesses", these are not used in the additional module STAHL EC3. 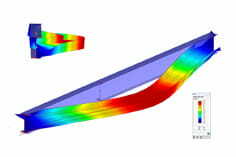 The modified stiffnesses are only used in the internal force calculation. Therefore, it is better to work with double bars when using the STAHL EC3 design.